Dental implants are the most natural-feeling and longest-lasting replacement option for broken or missing teeth. Dr. Chua specializes in this minimally-invasive procedure, offering in-house dental implants, from start to finish, and for a fixed price that covers all the necessary work, as well as two years of follow-up appointments. Implants are a reliable, long-term solution for a variety of dental problems, and Dr. Chua will work closely with you to determine if implants are the best option for your condition. Implants are artificial roots surgically placed in the jaw. A false tooth can be anchored to the implant, giving the replacement the look, feel, and strength of a natural tooth. 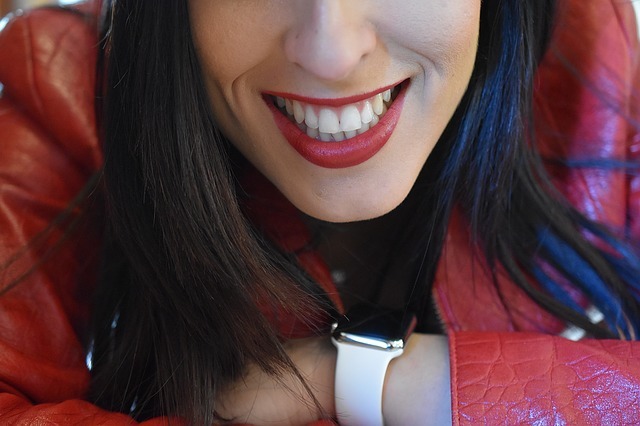 Implants are a reliable and minimally-invasive way of replacing your tooth’s root, leaving you with a natural bite and an improved smile. Implants are as close to a natural tooth as modern dentistry can provide. Implants are for anyone looking for a strong, predictable restoration that they can count on for the rest of their life. For patients with missing teeth, this is the most natural restoration option available. For patients with broken or damaged teeth, an implant can cost roughly the same as a root canal, build-up, and crown—but it will last longer than a standard repair. Implants are a great investment, as they not only replace the tooth, but they keep the bone from shrinking away with old age. They can also be built on in the future, should additional replacements be necessary in the years to come. Implants are the best option for replacing a missing tooth, and a great option for replacing a broken down teeth, as implant yield more predictable results than most treatments. If you still have questions about implants, don’t worry. When you come to Dr. Chua for consultation, his top priority is to make sure you are well-informed and that you’ve gone over everything before you proceed. He wants to make sure every patient is happy with the service he provides, so he’ll take the time to answer all of your questions and make sure you understand your options and how he can help. How do dental implants work? What is the surgery like? Dental implants are very straightforward. We make a small incision in the gums, and then a small pilot hole. We thread the implants through the pilot hole, and the replacement tooth then screws into the foundation. The surgery is minor, so there is typically no pain at all and very minimal bleeding. Dr. Chua performs guided surgeries, so it’s a very predictable and easy procedure. The whole process takes less than 30 minutes, and most patients are talking and ready to return to work immediately after the surgery. Dr. Chua provides full implant services, from consultation to two years of follow-up, for $3200. Some patients will find websites that quote a slightly lower number, but those typically include hidden fees or don’t cover consultations, x-rays, and follow-up. Dr. Chua’s price covers all the work needed to get the full restoration in place and keep you smiling for years to come. His office is fully equipped to take x-rays, cone-beam ct scans, and 3D intraoral scans, which means you can get the implant, abutment, and crown done all at the same visit. That helps improve the planning from start to finish, and means fewer visits and less hassle. Dr. Chua’s price also includes two years of follow-up, so the you’ll be able to stay in touch and make sure you’re completely satisfied and comfortable with your new smile. Most patients experience little to no pain. Recovery time is next to nothing. Once Dr. Chua places the implant, you’re done. Most patients don’t feel a thing, and are talking and functioning well immediately after the procedure. With routine maintenance implants can last a lifetime. The benefit of having an implant is that they don’t decay like natural teeth. They’re made of medical grade titanium, so there’s nothing to decay. The titanium is a very strong substance that is biocompatible with the bone and the body. In fact, once the implants are anchored to the bone, something called osseointegration begins to happen—which means the bone tightens around the implant, making the bond stronger. A major benefit of implants is that, if a patient loses a tooth, Dr. Chua can replace one tooth now and use that same implant 20 years in the future to make a full prosthesis, if necessary. That’s how reliable implants are. Almost always. There are a number of comfort issues with dentures, but one of the most significant things that sets them apart from implants is that dentures don’t use the bone in the jaw, which causes the bone to recede over time. As the bone recedes, the patient’s appearance is impacted, and they can begin to have problems eating, chewing, and talking. Implants are bonded with the bone in your jaw, so the bone stays in-use and healthy over time. Of course there are conditions that might impact the efficacy of implants, and not everyone is a candidate—bone cancer or necrosis, for example. In some cases, dentures might be the only, or the more suitable, option. Whatever your condition, Dr. Chua will work closely with you to come up with a solution suited to your particular needs. Most patients can go right back to their lives immediately after the procedure. Some patients leave the office feeling like nothing happened at all. People tend to be talking and functioning well right after the appointment. Most up-to-date insurance companies cover implants. Because implants are so strong and long-lasting, they don’t have to be routinely altered or replaced, which ultimately saves money. Do dental implants ever fail? Why? Implants usually don’t fail. They’re successful 98% of the time. The most common problem is that patients will stop brushing—sometimes because they think they don’t need to, as implants don’t decay. But if patients don’t brush, they can still get an infection in the gum and bone called peri-implantitis, which can cause the implants to come out. This problem can be avoided with standard dental hygiene efforts. For more information or to book an appointment please fill out this form, email us, or give us a call.